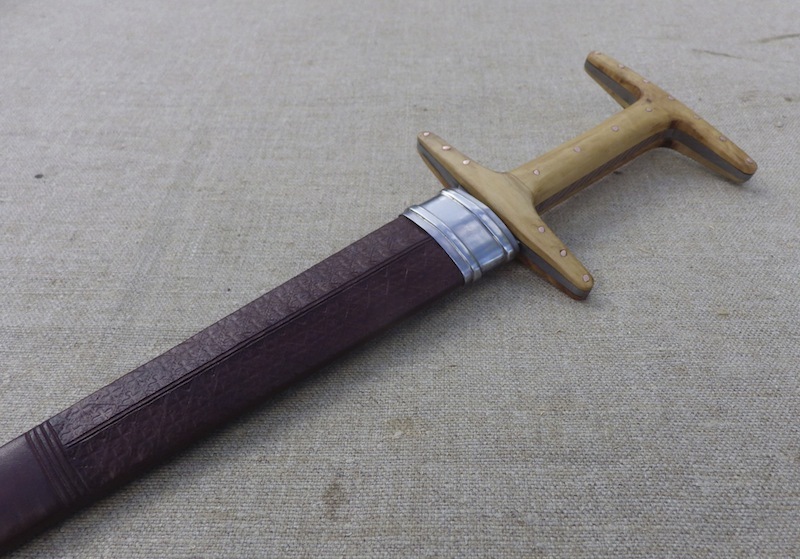 The baselard style dagger is a very interesting knife. It had two fairly standardised forms, firstly the more Swiss/German style with separate top and bottom guards and a whittle tang blade. 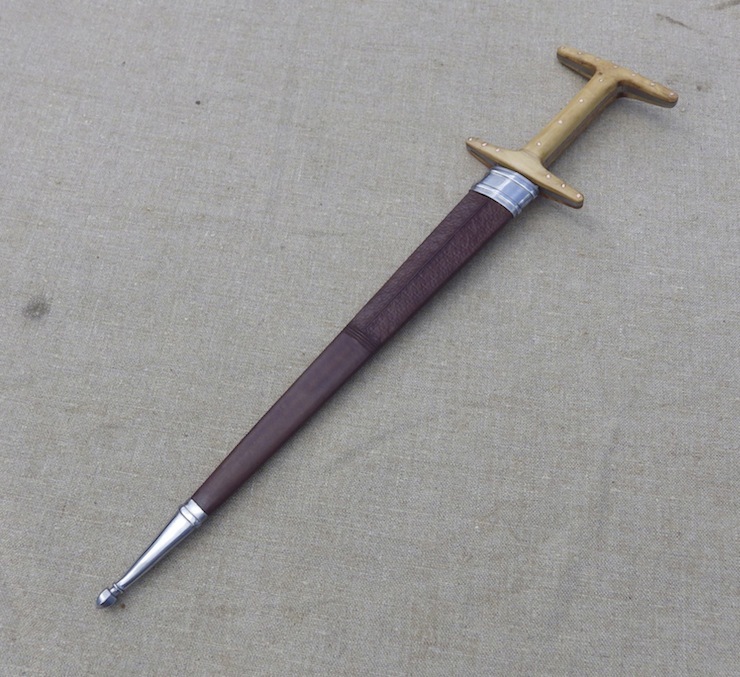 The second style has more of a capital I style hilt and a scale tang handle; this is a reproduction of this second style. This style of dagger was the dagger to have in 13th and 14thC italy and was also popular in the UK and I assume France and the Lowlands. 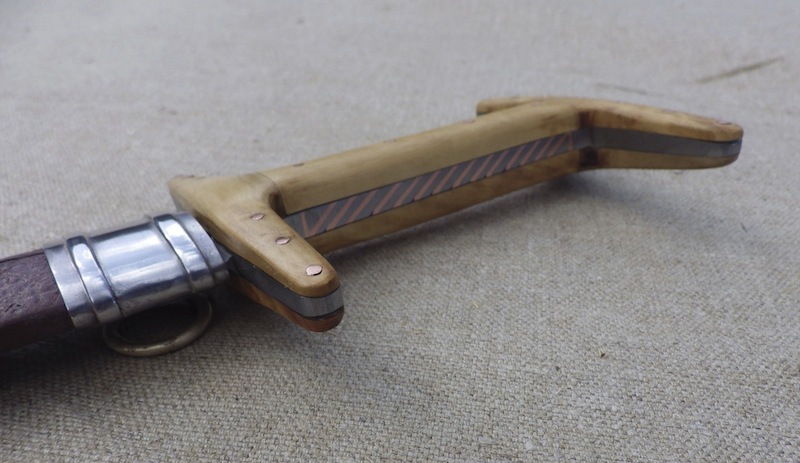 This reproduction is very faithful to the overall dimensions of the original and has a boxwood handle and although we don't know the wood of the original, this was a very popular handle wood. The scales are held in place with copper rivets and the tang has had copper inlaid. The inlay is not correct to the original, but was a request. 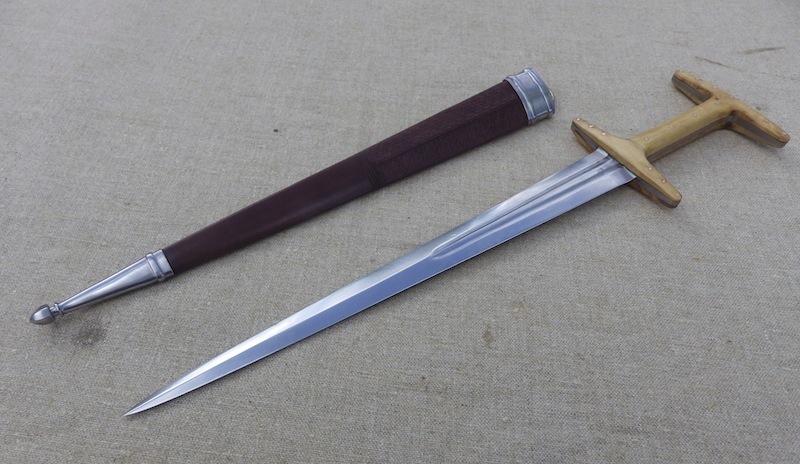 This dagger has a relatively delicate hilt, but with the long blade, it is quite a monster of a dagger. Really, really nice Tod! The blade does look wicked! I especially like the fullers. and off to the US tomorrow, which is a shame as this is one of all time favourite daggers. Yummy indeed, some very nice lines. Sadly a style i don't have, must rectify that!